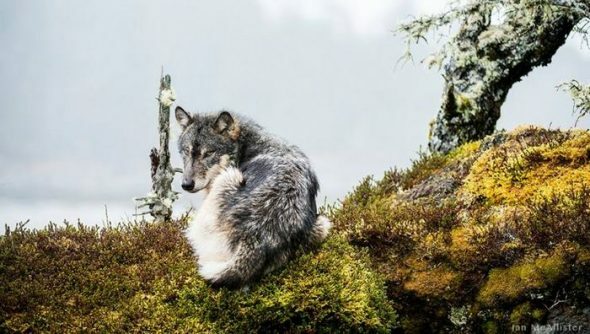 They may look a lot like your average everyday wolf, however these wolves survive off of what the ocean can provide, and are very unique indeed! 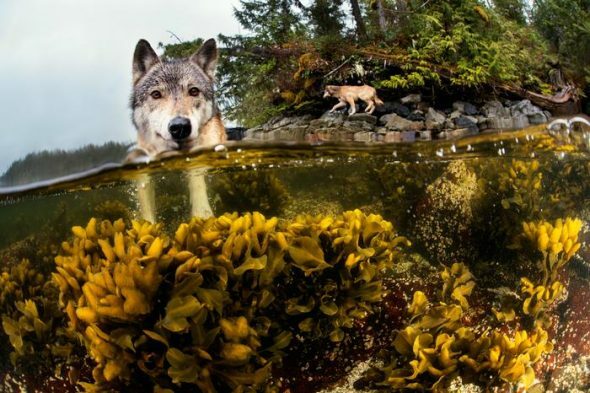 If one was ever to find themselves along the coast of the Pacific Ocean in British Columbia, you just might just catch a glimpse of the rare and beautiful sea wolves. 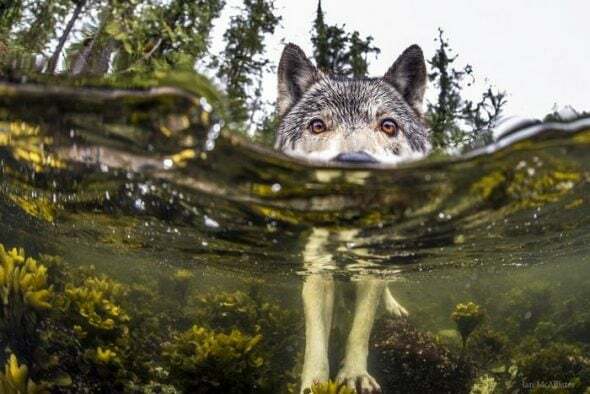 They are a very small population of wolves, who quite literally survive off of what the sea provides, and they REALLY seem to enjoy swimming for hours on end. 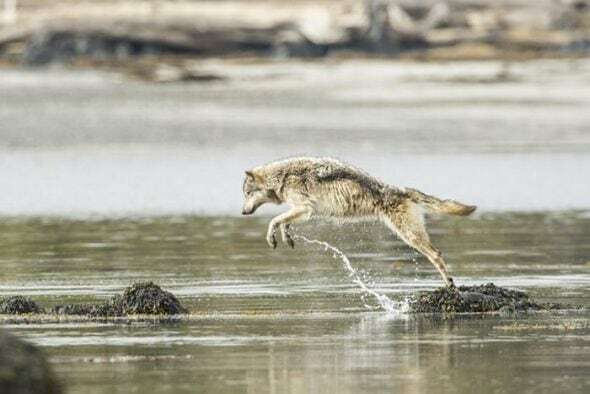 According to researchers, these sea wolves are genetically linked to their more land-bound cousins. However, their DNA is distinctly different, making them a breed unto themselves. 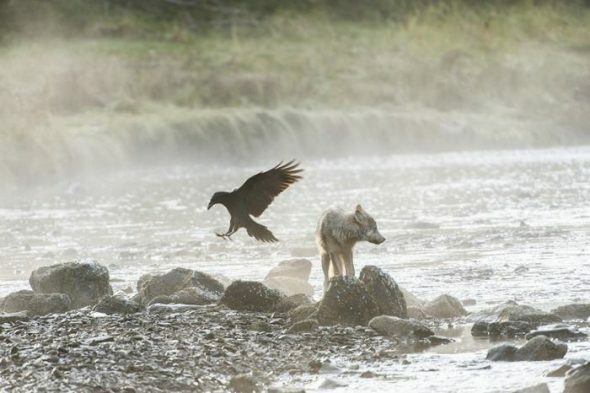 They behave very differently than wolves one might find on land as well. They seem to enjoy doing a bit of island hoping while hunting for food in the surrounding water. They are also physically smaller than their land-loving counterparts. Preying off of sea animals means that they do a lot of moving around and swimming. They’ve even been known to go up to seven and a half miles on a single adventure. 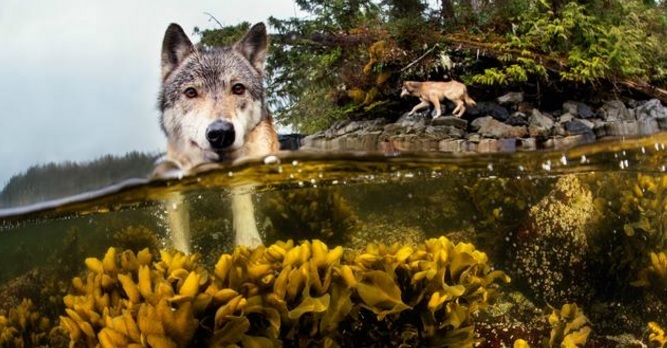 Ian McAllister is the photographer responsible for these beautiful pictures of the sea wolves. They really capture that striking similarity in look and color to other wolves, while definitely letting you know that what you’re looking at is very unique, indeed. Some of them even capture an almost mythological aspect to them, and we just can’t get enough! For more information on McAllister’s photography, or his work with Pacific Wild, click here. The Corgi Flop Is The Cutest Thing You’ll See Today!